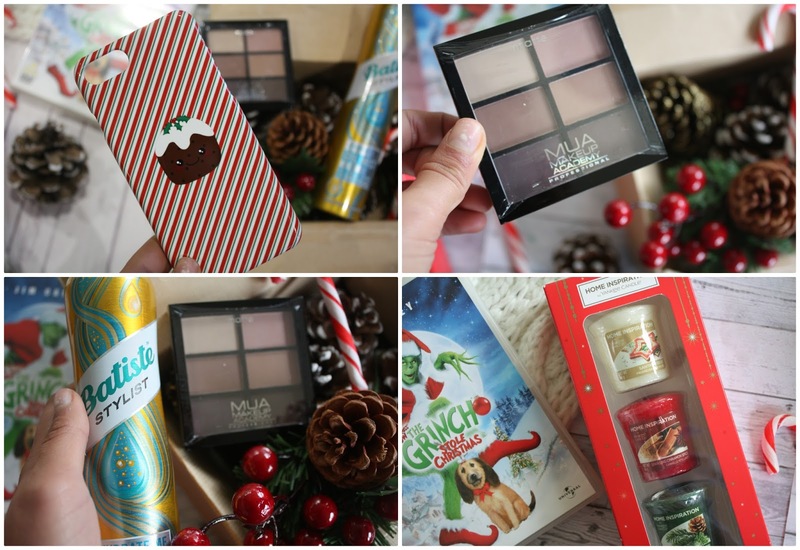 Christmas Gift-Bundle Giveaway // ENDS 25th DECEMBER! Hey lovelies! So I've been planning a Christmas Giveaway on my Blog for ages as a kind of thank you and 'Christmas Pressie' to all of you who have kept up with me and Just Morgs this year. It's been a whirlwind of a year but the Christmas Season is my absolute favourite, and it feels crazy to think that it's my 3rd ever Christmas on my blog. In this Giveaway there's a selection of Festive Goodies (listed below) all in a big bundle of beauty / christmas movies / lifestyle and basically just Christmas in a box! All of the items inside have been carefully picked out and the phone case even designed by me (with the help of Caseapp) so I hope you enjoy. For the chance to win everything in the box just follow the steps below! The giveaway is run on Rafflecopter and ends on the 25 / 12 / 17 for UK ONLY. Also, make sure to follow me on twitter as I will be announcing the giveaway winner on there on the 25th. Good Luck and KEEP CHECKING BACK TO THIS POST FOR EXTRA ENTRIES TOO. A Handwritten Christmas Card from me. QOTD: WHAT DO YOU WANT FOR XMAS THIS YEAR? I love all the bits in the giveaway! Yankee candles are lovely and I'm such a sucker for MUA products :) just entered! Great giveaway dear. One thing I want for Christmas would be a new coat, either a teddy, faux fur or a khaki hooded coat. The pudding phone case is ADORABLE! Wow what a lovely giveaway! That phone case is so cute. Merry Christmas! Ooh found this just in time, 3 hours left! Oh and one thing I want for christmas this year is a new phone! This year for Christmas I want Peace. I would like a new crock pot. Great Christmas gifts! I hope I won't need extra help with research paper, so I won't need to spend a lot of money and instead to buy my family cool gifts.